Sushi Train Bondi Junction Customer Appreciation Sale!! *Udon, Rice Bowl, Drinks are excluded from specials. 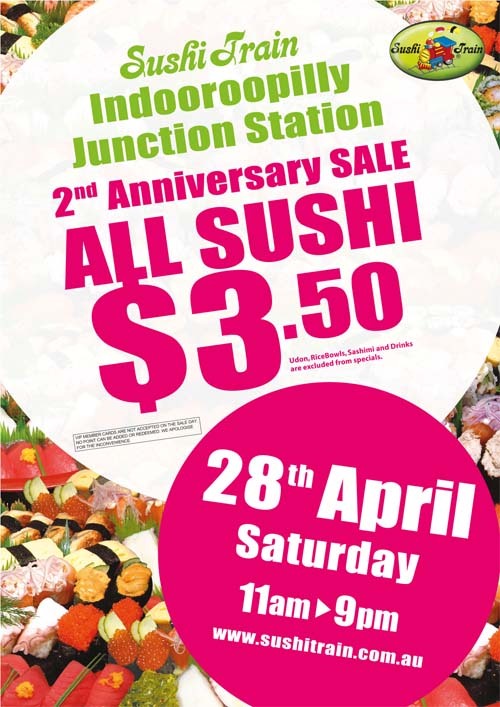 Sushi Train Indooroopilly Junction Station 2nd Anniversary Sale!! All Plates $3.50 *Udon,Rice Bowls, Sashimi and Drinks are excluded from specials. 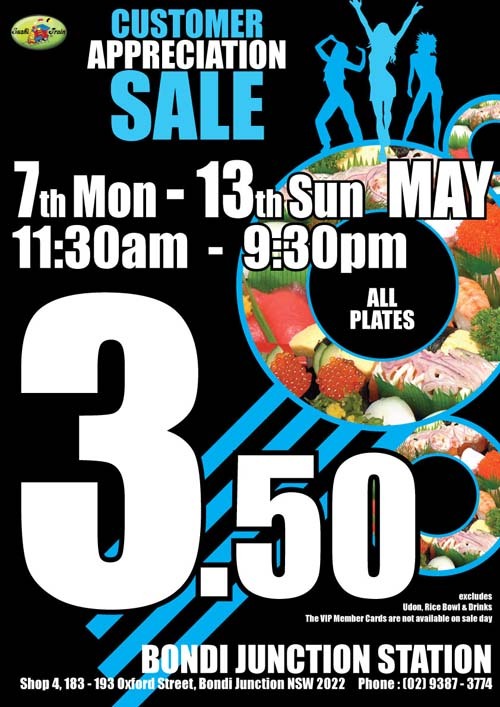 Sushi Train Nerang Station 2 Years Anniversary SALE!! Sushi Train Unley Metro Station Grand Opening Sale!! *Booking is not available. Udon/Platters are not available, this offer is only available in Sushi Train Unley Metro Station.